In just a few short years, MixMasterRod has become one of the premier djs in the DC area, while also transforming the relatively new scene and raising the bar for the competition. After Starting of in the weekly grind of the metro area music scene, MMR quickly made a name for himself in the saturated dc dj game, setting himself apart with solid technical abilities and an uncanny knack for reading the crowd. 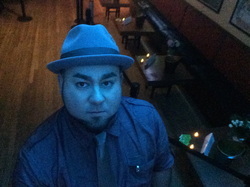 He soon became a regular at notable DC clubs, bars, and events. He came into his own when DuPont circle staple Madhatter needed a full time resident to handle their weekend music needs. Without skipping a beat, MMR stepped into the booth at the hatter and seamlessly created a Las Vegas-like atmosphere in the nation's capital. He turned the Madhatter into one of DuPont circles premier night life destinations with his energy, creativity, and carefully crafted music choices. Add in the silly string showers, spontaneous beach ball parties, amazing light and visual shows, and you can see why nights with MMR are always above and beyond.